Who or What is LeEco? 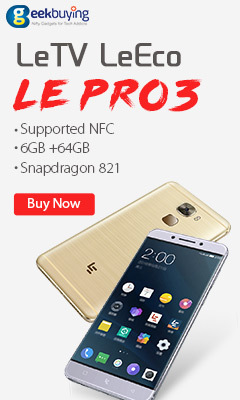 LeEco aka Leshi Internet Information and Technology, also known as LeEco (formerly Letv), is a Chinese technology company, and one of the largest online video companies in China. It is headquartered in Chaoyang District, Beijing.It was Founded in 2004 by Jia Yueting with a goal to build the Le Ecosystem”, an online platform with content, devices and applications. Therefor i am excited that Leeco is set to make a Big Announcement on October 19th in San Francisco 10AM PDT Time.I hope we get to see the LeSee on stage rolling like a pimp.I reached out to LeEco on Twitter(many thanks) and they stated “what we have coming ,you’re going to love. I am looking forward to seeing what they have to offer for the American market,who knows Huawei may have another competitor hot on their Hill’s.Healthy competition is always a good thing as the Consumer benefits.Could this be the next Big Chinese Company to make a Splash?